Hello to all you lovely fellow creative stitchers! I am after your help, I am going on holiday for a whole month, and yes I know I am really, really lucky! I need your help because if I don’t have anything to do during those quiet moments(?) I think I will go a bit stir crazy. We are holidaying with family in Cyprus, and we know the place very well. So sight seeing will not be top of the list in the height of the Mediterranean summer . Also there is only so much swimming and sunbathing/napping you can do! I am already cramming a braid making wheel in my case, which is very light, and the makings for some hand quilting, Folded Star or Somerset QuiltIng. I have given you a link to a lovely example shown on Pinterest, don’t think my effort will be anything like that. I should get out and about a bit and see if the Cypriot ladies enjoy patch work quilting or fabric crafts in general. I know the ladies up in the Troodos Mountains make the most pretty laces. Lefkara used to be the centre of the hand made laces you see, but I do not know if the tradition is still ongoing. 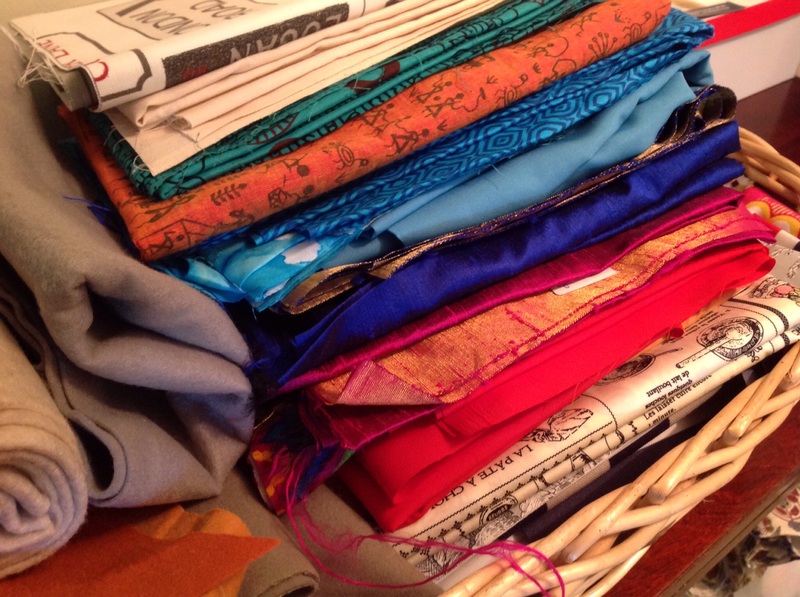 When we were in India, the people I chatted with were perplexed with the idea of cutting up perfectly good fabric to sew up again in a pattern to make a quilt. My explanations when asked what I was buying for, were obviously different! Any portable sewing ideas would be very welcome!